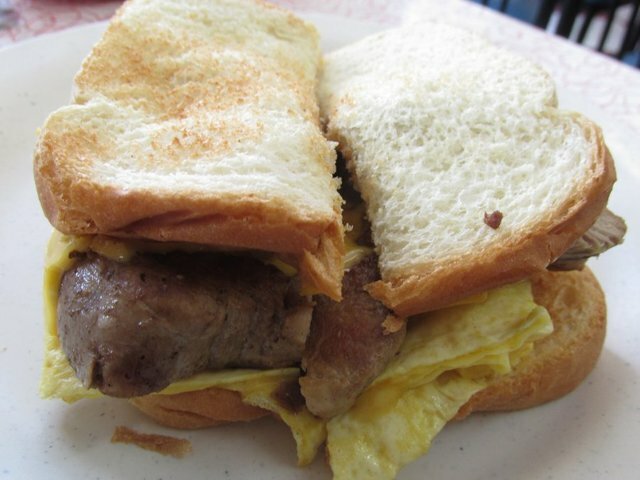 Bryant’s Breakfast’s menu lists two rows of breakfast sandwiches, which are served on white or wheat toast or a homemade biscuit. I tried two of the more unusual sandwiches — Philly cheesesteak and egg, and pork tenderloin and egg. I opted for onions on the Philly cheesesteak sandwich after co-owner Kerrie Bryant Burton asked if I wanted them. She said she always asks. They were a great addition to an already tasty sandwich, which reminded me of Mid-South Fair food. I also loved the pork tenderloin and egg. The pork tenderloin was plump and the egg — as it usually does — complemented the meat.